Objecting to the BBMP and UDD circular dated March 30, 2017 reinterpreting its earlier directive on the lake buffer zone, the tribunal warned that if it was implemented , they would be held in contempt of its order. 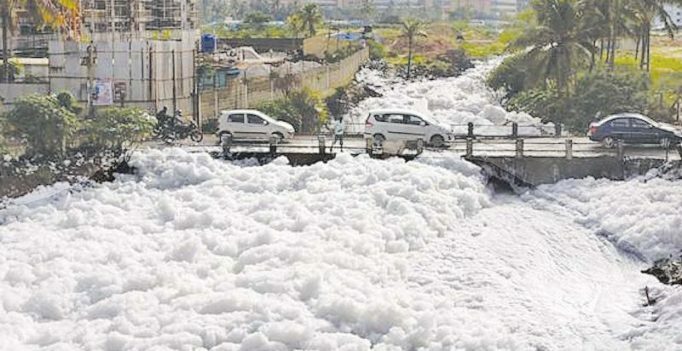 Bengaluru: The Bellandur lake, which has for months been spewing a smelly white froth making the lives of people living around it miserable, may now at last be cleaned up with the National Green Tribunal (NGT), principal bench, Delhi on Wednesday passing an interim order directing the state government and BBMP to immediately shut down all polluting industries near it and clean it up in a month. The government was also ordered to submit an action taken report to it in the next two weeks before the hearing was adjourned to May 18. Going by the tribunal’s orders only industries, which are given the green signal by a Joint Inspection Team (JIT), can continue to function near the lake. And in future anyone found polluting or dumping waste into it, will have to pay an environmental compensation of Rs. 5 lakh for every offence. The government has been directed to form a committee of officials from the BDA, Karnataka Lake Conservation and Development Authority (KLCDA) and Urban Development Department (UDD) not below the rank of additional secretary to ensure that the lake is cleaned up in a month as ordered. Responding, BBMP Joint Commissioner, Sarfaraz Khan and UDD secretary Mahendra Jain submitted an affidavit tendering an unconditional apology and undertaking to withdraw the circular immediately. 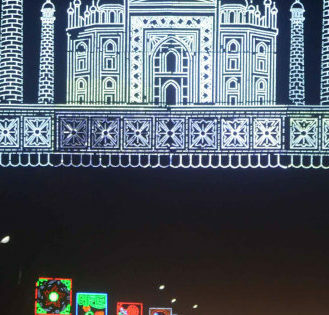 But this has left the construction industry and developers in a quandary as over 200 major real estate projects have already been approved around it, according to Mr Suresh Hari, secretary of the Confederation of Real Estate Developers’ Associations of India (CREDAI), Karnataka chapter. “The planning authorities have issued layout and building plans based on the earlier buffer zone prescribed in the Comprehensive Development Plan (CDP). Over 200 projects have already been approved and some are under progress. Another 300 applications are pending before the BBMP and BDA,” he said, however, noting that the case pertaining to buffer zone was coming up for hearing in the Supreme Court. A UDD official listed some practical difficulties in cleaning up the Bellandur lake in a month as a plant to treat 150 million litres of sewage entering it per day is expected to be ready only by July. Another plant with a capacity to treat 100 MLD of sewage will also be built along the lake, he revealed. Responding to the NGT order, Rajya Sabha member. Rajeev Chandrasekhar said the BBMP’s fondness for builders had been exposed . “The NGT order on Bellandur lake is a slap on the face of the BBMP and UDD, who despite having been exposed multiple times, continue to be a front for builders and have no interest in the welfare of the city or its people,” he charged. Kangana Ranaut, Shah Rukh Khan and others – the daredevils of Bollywood! On Tuesday night, actress Kangana Ranaut, who has been shooting for her upcoming film Manikarnika, was injured on the sets of the film in Jodhpur…. All's not well between Purab Kohli and Kanan Gill on the sets of Sonakshi's Noor? Are Indian celebrities too shy to dye? Priyanka Chopra grabs nomination in People’s Choice Awards 2017 again!